As Warner Bros. Pictures continues to expand its big screen DC Comics universe, fans are anxiously awaiting the arrival of David Ayer‘s Suicide Squad this August. Among the stars signing on for the supervillain ensemble is Will Smith as Deadshot. Deadshot, who debuted in the comics as a Batman villain more than 65 years ago, is making his first cinematic appearance in the ensemble. That, Smith tells ComingSoon.net, is precisely what drew him to the Deadshot character. RELATED: Will Jared Leto’s Joker have an origin story? 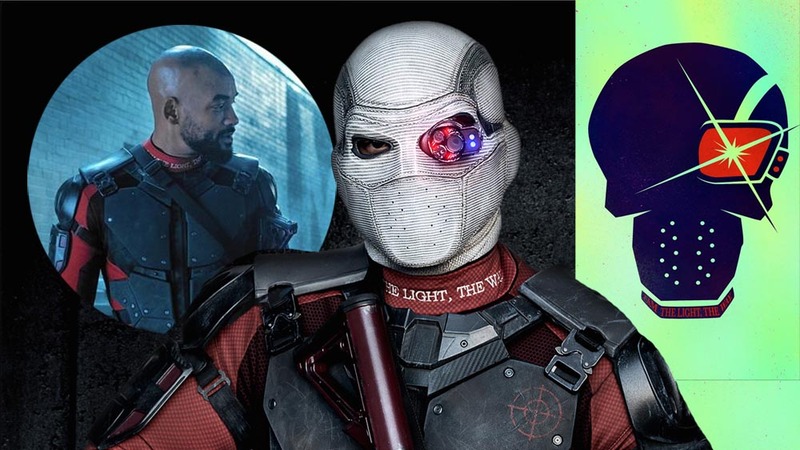 Deadshot isn’t Will Smith’s first comic book movie, however. The Men in Black franchise was itself based on a relatively obscure comic book series published by Aircel starting in 1980. While not based on a comic itself, Hancock nevertheless offered Smith as an original cinematic superhero. Despite having a history with comic book films, however, Smith says he grew up somewhat distanced from comics. After Suicide Squad, Smith has plans to immediately reteam with Ayer for Bright, an End of Watch-style thriller set in a contemporary world of orcs and magic wands. It’s also Ayer that Smith trusts to find a way to balance Suicide Squad against the rapidly =0expanding big screen DCU. Suicide Squad also stars Margot Robbie as Harley Quinn, Jared Leto as the Joker, Joel Kinnaman as Rick Flagg, Jai Courtney as Captain Boomerang, Cara Delevingne as Enchantress, Karen Fukuhara as Katana, Adewale Akinnuoye-Agbaje as Killer Croc, Jay Hernandez as El DIablo, Adam Beach as Slipknot and Viola Davis as Amanda Waller. There’s also mystery roles for Ike Barinholtz, Scott Eastwood, Raymond Olubowale, Alex Meraz, Jim Parrack, and Common. Are you looking forward to Will Smith’s take on Deadshot? Let us know in the comments below!